If you were to put together a $2,000 dollar gaming PC build then you’d be absolutely amazed by the speed and graphical performance. Especially now that newer tech has recently been released, this build is the newest of the new. Because optimal PC hardware on this kind of budget sets you up for so far into the future that I can’t really even quite fathom exactly how long it would last. If you’re looking to max absolutely every single game that is out and that is coming out this year and into the next with 60+ FPS and then some then this is definitely going to be the right build for you. You’ll not only be able to just play games, you’ll be able to create them. This build is more than capable of running game engines and 3D softwares for rendering and the such. This build is going to take anything and everything that you throw at it so if you really do get these parts and put this build together then I applause you for your desire to have the best of the best when it comes to gaming PCs and the top of the line hardware that’s out there. Seriously though, computers are so far ahead of the gaming consoles of today that it’s almost not even funny. PCs are able to do so much more and they’re able to show exactly how a game should look, at the top of its game. At its prime. Only PCs have the power to do that and this specific build is a God among the rest. If you’re putting this build together then you’re obviously going to need to know how to put a computer together. For most people, this sounds like a daunting task that can only be done by the computer nerds of the world but that’s just not true. Not at all. You see, I’m the furthest thing from being some computer guru, especially when I went to build my first PC myself. I was a console gamer for the longest time but I’ve always come across awesome videos of the different mods for PC games and just the PC gaming world in general. I also had some friends that were into PC gaming so that pushed me to want to build my own. After researching A LOT about building computers and looking at a bunch of different tutorials I came across a video series by Newegg TV that fully explains step by step the process of building a computer and I’ve attached that video series below! Be sure to watch the whole video before and during your process when you go to build this PC. Newegg didn’t leave anything out and this is the same video that I used when I built my first gaming PC! Now, on to the good part. The hardware! * = Optional part. More details below. Final price DOES NOT include the optional part. This build is a God among Gods when it comes to PC builds. You can never go wrong with running with a $2,000 budget for building an epic gaming rig. The combination of the i7-9700k and a RTX 2080 video card gives the most ultimate experience that you could fathom with this type of budget. You’re going to be able to max anything and everything you install on the hard drive/solid state drive. You’re basically guaranteed max settings, 60 FPS. The 9700k is the newest model of CPU from Intel and with the pricing finally making sense, it’s time to add it to this build. I’ve included the liquid cooler because it’s needed for the 9700k. Unlike previous generations, this CPU will not come with a stock Intel CPU cooler. 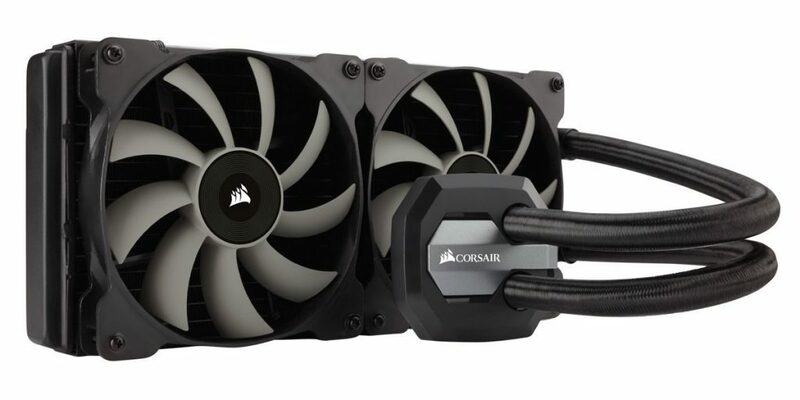 Therefore you’ll need to have some kind of a cooling system in place and the Corsair H100i v2 is your best bet if you’re looking for quality. Be sure to look up different YouTube video guides for the installation of it! The case is a full tower case I’m sure that the video card and any other big video card should be able to fit this case with no problems. 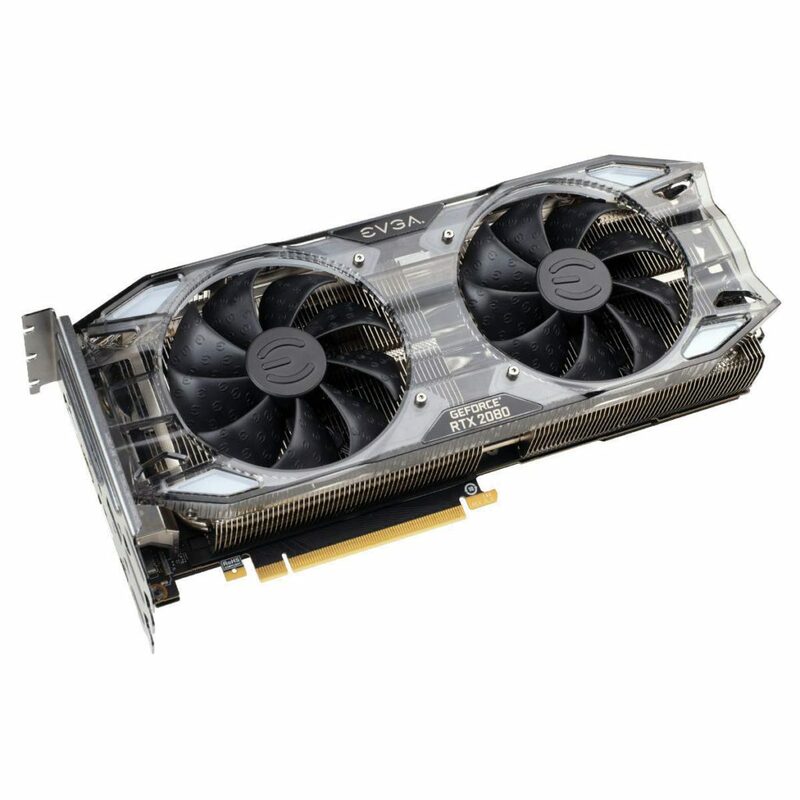 Even though the price isn’t all the way there, I currently have a RTX 2080 listed for the graphics card. This is the absolute best video card you can get on the market right now and since it fits within the budget, it makes sense to have the best of the best. The price point for a RTX 2080 is crazy high right now so if you need to go down to a 8GB RTX 2070 to get a better overall price then do so. The GPU market has been going hay wire due to Bitcoin mining farms and the like. The current listing for the above RTX 2080 has some options for brand new, though it is a bit pricier than usual. The companies that make the video cards that we gamers need are increasing the price due to the demand from the miners, this is why almost all of the GPUs pricing doesn’t make sense. It’s an odd time to be building PCs and I’m trying my best to keep everything updated as we move forward. With that in mind, let’s go over everything else with the build. Feel free to switch out other parts of the build such as the case, PSU, etc. You can ask me in the comments below if you’re unsure about a certain part being compatible. We can finally use a RTX 2080 with all of the other parts combined to stay within the $2,000 price range goal. A full tower allows you to add a lot more drives to it for down the road and it just looks awesome when you have it sitting on top of a large desk. Trust me, you’re going to need a good bit of room to be able to display this case, my favorite part about it is that it can change to different colors via the led strip that it has on it! It’s a beautiful tower. Now unlike most of the other builds on the site this build has 16GB of RAM. There’s more than enough room in this budget for 16GB RAM and having that much memory is going to make multi-tasking a breeze. You’ll be able to run your own game server as well if you’d really like to, 16 GB RAM is very nice to have! As far as hard drive space goes, there’s enough room in the budget to have a nice sized SSD and a 1TB hard drive as well. 525GB of SSD is going to make you extremely content with your build because a SSD is seriously 10x faster than a normal hard drive. I highly suggest throwing your operating system on the SSD along with your favorite programs/games as well. Any other files like photos/videos should be stored in the 1TB hard drive. * Now for the CD drive you’re able to actually have a Blu Ray drive! Regular CDs will work just fine on this drive, it’s a combination of Blu Ray and regular CD write so no need to worry there. Blu Ray movies have amazing quality and being able to use them with your build will be awesome! The reason why this drive is optional is because maybe you’re wanting to install your operating system via USB, you want a basic CD drive or neither. Understandable in any way, just be sure you know what you want to have! You’re going to need a mouse/keyboard combo as well as a nice monitor to go with this high-tier build. I’ll say now that the keyboard isn’t entirely important to the point where it’s necessary to spend a bunch of money on it but I’d understand why if you’re looking for certain features that can come with a higher end keyboard. 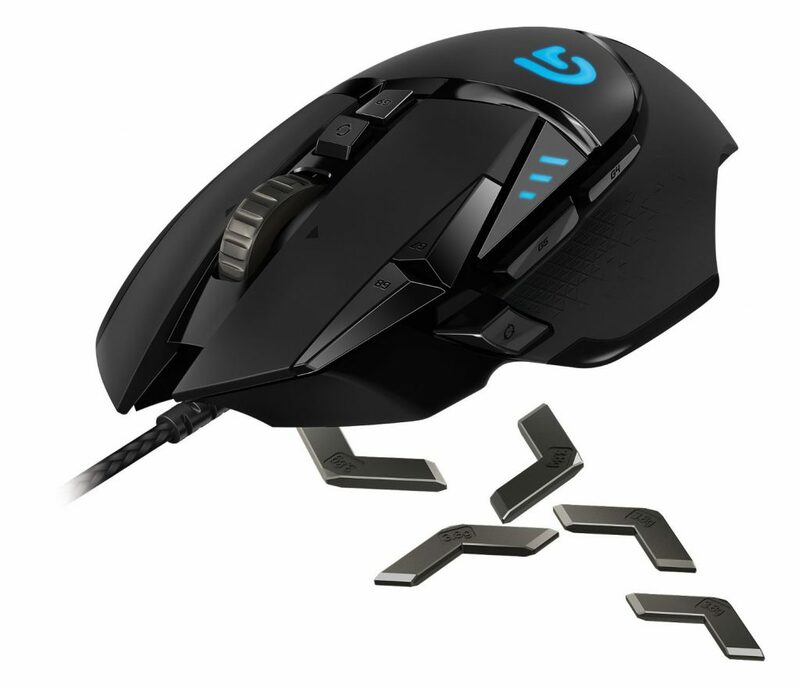 Below are a couple of links to reviews from Logitech’s G502 Proteus Spectrum mouse and their G910 Orion Spark keyboard. Be sure to read through them and see what comes with some of the highest quality peripherals, especially in the realm of the mouse. You definitely want a nicer mouse if you want to have optimal accuracy and overall good build quality. If you want you gear to stand the test of time then you’ll have to invest a bit for it. As for a monitor, with the power of something like the RTX 2080, you need something that is going to show off what it is truly capable of. This means at least going with a high quality 1440p resolution monitor since you’ll be getting an insane amount of FPS with it. The Dell monitor linked below is a great choice for 1440p without absolutely breaking the bank. There are a ton of different monitor options on the market ranging to all sorts of different price ranges so be sure to do your research but if you’re wanting to have that 1440p experience without spending upwards of $600+ then this might be the one for you. Let me know down below if you find other monitors that you think would better suit the build. I always keep the budget in mind and since there isn’t a ton of room outside of the budget range I figured to go with the best bang for your buck when it comes to a lower priced 1440p monitor. 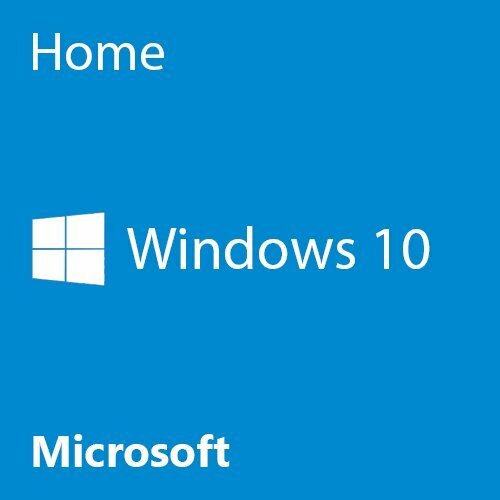 Now for an operating system I would definitely pick up Windows 10. Microsoft has been doing a pretty great job at keeping Windows 10 updated and it’s the most optimal choice when you have gaming in mind. Even in the VR space, Windows 10 is basically the main operating system that is in mind with developers. If you really don’t want to dish out the extra $100 for an operating system right away (I totally get it) then I highly suggest that you check out the Linux based operating system known as Ubuntu. You could just throw Ubuntu on your system until you’ve saved up enough cash for Windows or you could just simply use Ubuntu, there are many programs for this operating system that will allow you to emulate Steam games so no need to worry about game compatibility. 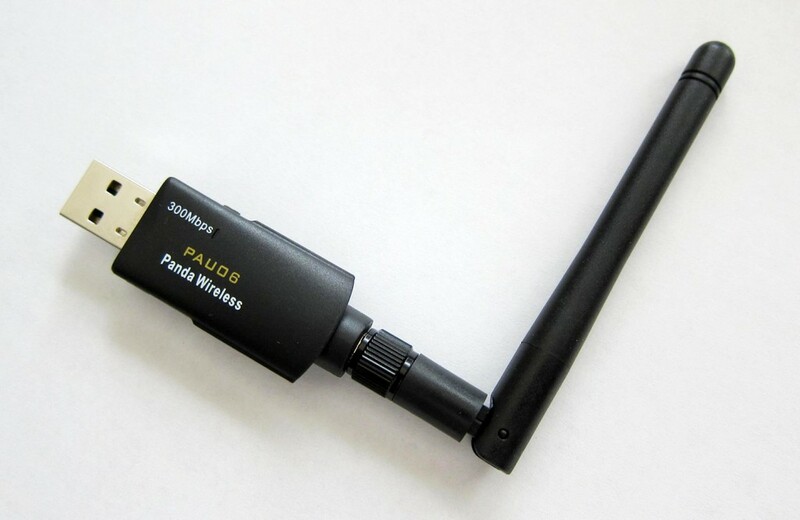 Also if you need a good internet connection from your PC to your wifi then I highly suggest picking up a wireless network adapter. This is the same kind of adapter that I use with my gaming PC and it works wonders, it keeps connection all the time and it is extremely reliable! It’s better to have a direct connection via ethernet for your internet but if you have to go wireless then you’ll want an adapter that definitely gets the job done. Those two links above are for Windows 10 64bit and for a USB network adapter for connecting to the internet. Why USB though? Well, there’s always the option of going with an internal wireless adapter if you wanted to. Being on a $2,000 budget gives you room to really be able to use whatever parts you’d really want to use. I’d highly suggest going with a direct connection via an ethernet cord if you’re able to since that’ll give you the best connection but if that’s not an option then you’ll definitely need some sort of a wireless adapter to get online with your build. Also, if you need a nice gaming mouse to go with your build then I suggest checking out the Anker gaming mouse. I reviewed it just a while back and it has major customization options along with precision! 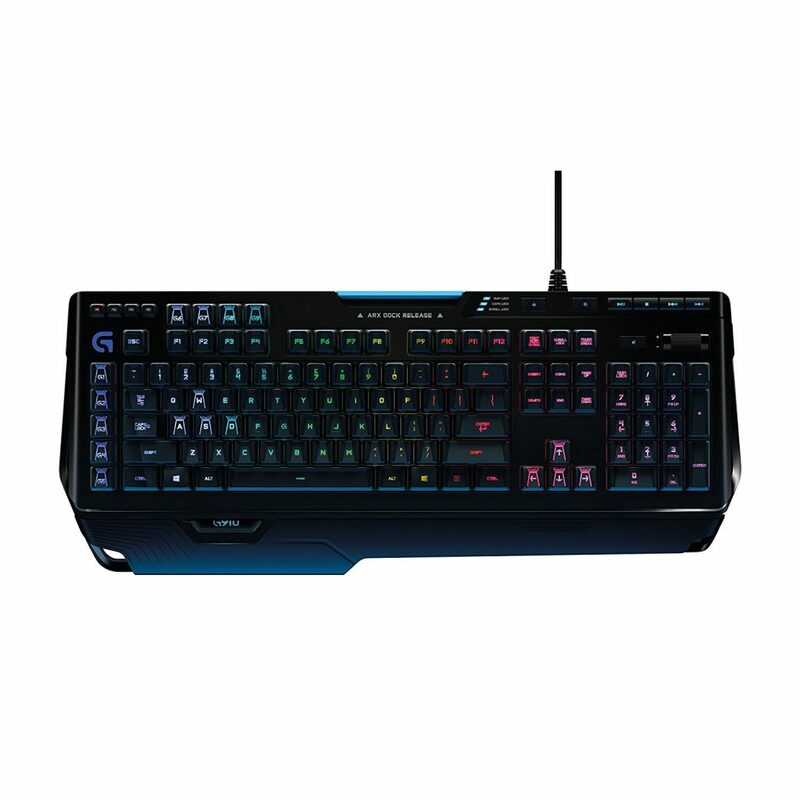 If you need a keyboard that’ll get the job done then I suggest checking out this Logitech keyboard. It has got the best bang for your buck and it was designed with the PC gamer in mind that’s for sure. All in all, if you’re looking for the best of the best and you want unstoppable power when it comes to not only PC gaming but computing in general then this is definitely the build that you should go with. This is going to work with everything you throw at it, and then some. Are you going to be putting it together? Tagged 2000 dollar gaming pc, 2000 dollar gaming pc build, gaming pc for 2000. Bookmark the permalink. Thank you for your support. Wanted to see when are you going to update because before I get the items I want to make sure I have the right ones for this build. I will be providing updates today, stay tuned! Also going all the way through to Black Friday/Cyber Monday I hope to stay on top of updates to make sure you’re all getting the most power per dollar spent. can you tell me what the differences are between the card you recommended and this one? Really new to this pc building stuff and was wondering if spending the extra money on the “XTREME” version was worth it. So the XTREME version comes with a bit faster core clock and overclocked speeds. Either way, both cards have crazy performance. I wouldn’t say that there is a significant difference between the versions, maybe getting almost 5ish more FPS in some cases. Though that’s pure speculation, I know that the difference wouldn’t be super noticeable. Let me know what you decide to go with and always let me know if I can help more as you’re moving forward with your build! Ok sounds good! I think i have every picked out that i want but I’m having a hard time deciding on a monitor. I know i want a 27″ monitor and defiantly 2 of them at some point but I’d settle for one nice one right now then pick up the second latter. Can you please give me some recommendations for monitors? My price point would be around $350 give or take a little. So that could be for 2 monitors or just one good one. It’d be a bit over the price point but if you’re going for a high powered build then you’d need a monitor to match suit. I just reviewed this monitor from Dell and it’s the ideal one to go with when thinking of 1440p! Ok cool I picked up on of these monitors and all of the parts are on there way! The only thing that I changed was the graphics card. I did end up getting the eXtreme version because on Newegg it was only 20 dollars more then the base version. One last question, I see you updated your part list and changed out the type of RAM you recommend. Just wondering what the reason for this was? Anyway you’ve been very helpful and i will defiantly recommend your site to friends! That was due to pricing, performance wise there isn’t really any differences. Exciting, keep us posted on how the build goes! It’s going to be an awesome one! You’re looking at using this exact case then, right? It’d be able to work but keep in mind that there isn’t a slot for the CD drive. If you know what you’re doing when it comes to installing your OS via USB and your drivers online then you’d be good to go! My dad just got PC parts today since it’s cyber Monday. Can you guide me through the build some how? I know some stuff but I’m confused on how liquid cooling works. Have you checked out the above video and/or have you gotten on YouTube to see how others have used the same exact cooler? Also directions should have came with the cooler. How far have you gotten? Or have you finished up the build? Let me know! Quick Question about the CPU Cooler, im currently working on a build for a family member and they want a beefy CPU so they dont have to worry about ever getting a new PC unless something just breaks. So im getting them the i7-7700k BUT with no GPU (if they need a GPU in the future will probably just pick up a ~$100 one since they dont game or anything) so with just the CPU is there a need for a Liquid Cooler or would the Stock cooler work perfectly fine? The 7700k doesn’t come with a stock cooler so you’d have to use an aftermarket cooler of some kind. Which cooler were you thinking of going with? Colton, what is your perspective on cases with built in liquid cooling system vs the one you referenced above. I know it’s quite a price hike in the case price compared to what you listed. But I’m more interested in performance, looks, and ease of build. It comes down to whether or not you plan on overclocking your build. A liquid cooler is able to maximize the performance and ease when it comes to overclocking. I’d go off of reviews for the cases that have liquid cooling pre-installed, did you have one specifically in mind? I dig the RGB lighting and the OC right out of the gate, though with the above card you’d be able to reach the same level of performance with the OC for sure. Would that work, and if so is it the best option to go with for the price? So you’re referring to this exact motherboard then, right? If so then yes, you’d be good to go using that and combining it with everything listed above! Let me know what you decide to do. I think that if you’re looking for the features that motherboard has to offer then it’s a good bang for your buck. Yeah I’m planning to copy the exact build above with the exception of the motherboard and processor. I mean these specs are going to be good enough for whatever you’d want to try and do. The hyper threading with the above i7 is great for content creation, especially after overclocking. Though you might also want to entertain the idea of going with Ryzen since there are more cores to work with. If you wanted to do that I’d recommend using the Ryzen 7 1700 with something like this motherboard from MSI for sure. Keep in mind that the 1700 comes with a cooler that will still work for overclocking so you don’t need the above liquid cooler. If you still wanted to use it you’ll probably need a separate adapter or simply go with a different liquid cooler. Thank you man for this build guide. This will be my first build. Any tips before i start building? Simply make sure to watch the above video before and during the actual process of putting the PC together. It’s going to help out ten fold, that and if you have any questions and what not as you move forward with the build then feel free to give me a holler! Hey colton,I was wondering does this build contain a certain theme i want to go with a themed build.Thanks! Well sort of, you’re able to change the LED colors from the case to match up with whatever you want if that’s what you mean. Otherwise we’d have to take a look around for compatible parts that go with the theme that you’d want to go with. 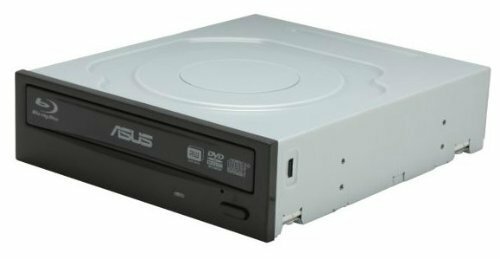 Hey there Super, yes you’d be able to use a CD drive with that case and it’ll work for the card you’re going for and everything else as well! Let me know if I can help with anything else. So the build went smooth, everything went together very well but I had some problems with windows. I think it was due to a corrupt driver but I’m not sure. I wiped my ssd clean last night and will be trying to get a fresh download of windows onto it tonight and hopefully that will fix it. Ill update tomorrow with the results! So after a $45 RAM Test from a computer shop, they determined that both of my RAM card were faulty D’= . So after talking to newegg they will replace them for for free. After taking the computer into the shop to get tested they had recommended me upgrading to 32GB 3200MHz RAM. I’m rather new to this and was wondering if this is actually worth it. If it is can you make a recommendation of what kind of RAM you would think would be the best value with those specs? I’d get the replacement and see how it goes. If you don’t want to do that then you could go with something like this RAM kit from Corsair instead. Any news? How’d it go? Glad that putting it all together went smoothly! Hey Colton, can you recommend another mother board ? The one choosen is out of stock and i want something like it. Sure thing, this motherboard from Gigabyte is what I’m currently using with my build and it’s awesome to work with. Let me know what you decide to go with! Hey Colton, I am scared that some part will be DOA how much of a chance i can get a DOA part and can you link me a good guide on how to boot a new built pc , Thanks colton! The video above is what I’ve always used/share with others. It doesn’t use the same exact parts but the process is always about the same. Then for something like the liquid cooler there are step by step instructions that come with. As long as you take your time and don’t rush you’ll be fine! If something were to come DOA and you got it from Amazon then the return/replacement process is a breeze. If you don’t plan on using any kind of CD drive then that Corsair case would work fine, if you wanted to use the Hermes case then you’d have to use a different aftermarket CPU cooler. Hey Colton thanks for the guide. With the recent crazy GPU prices do you think I should hold off on building a computer. Do you think the prices for the GPUs will drop in the near future? Plus where can I even find a gtx 1080 ti? Seems like everywhere I check they are either $1100 or out of stock. Thanks! Honestly man nobody really knows when or if the prices are going to go down for GPUs… it’s mainly due to cryptocurrency mining and it looks like this is going to be a huge year for crypto, miners aren’t going to slow down to companies have adjusted their pricing to make more money from these miners. I’ll write a short post today about today’s hardware pricing, there really isn’t anywhere else I can recommend as everywhere I’ve checked have the same issue going on… Might want to hold off or look into some pre built PCs in the meantime. How would this build change (supporting parts) with an 8700k? I’m not sure which motherboard you’d recommend with that. Price really isn’t that much of an issue, expecting $2500-$3000 with this upgrade. 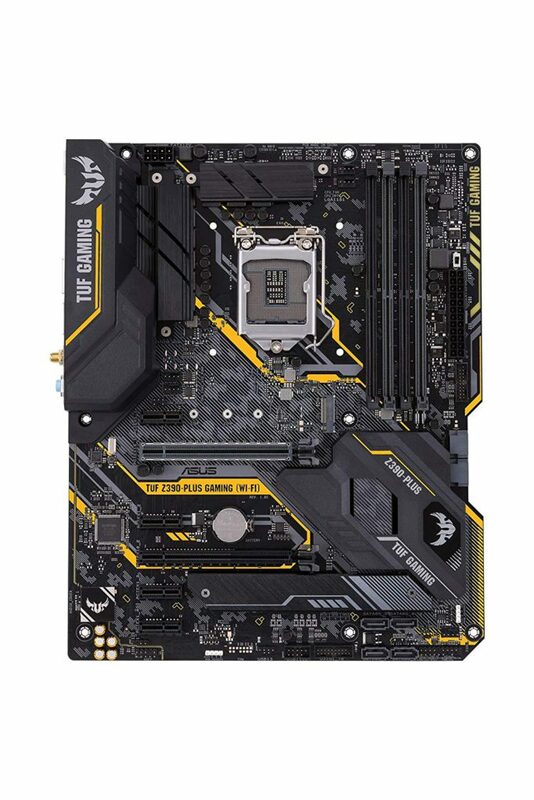 All you’d have to do is switch out the motherboard with something like this one from Asus – I usually recommend using an Asus board because they’ve been extremely reliable over the years and they’re always packed with cool features. Let me know what you decide to do and if you need any more help as you’re moving forward with your build! Would a regular Gtx 1080Ti or a Gtx Titan X fit in this? Sure, with a case this size you should be able to use whatever card you want to use. Let me know what you decide to go with! 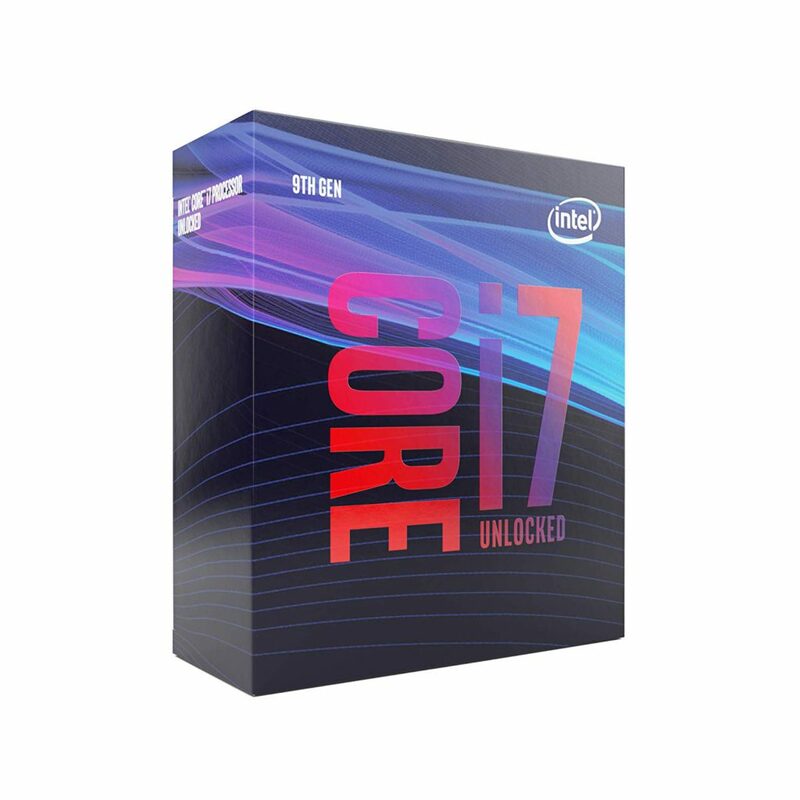 Would that motherboard be able to work with and i9 intel core instead of an i7? Nope, if you want to go with an i9 then you’ll have to use the next generation of motherboards. For example, if you planned on using the i9-7900X then you’d have to go with a X299 motherboard such as this one from MSI – only recommend doing that if you plan on doing the heavy type of work which requires something like an i9. I See the I7 7700k processor has a newer model available the 8700k can you use this in this build without any problems? The price difference is only 34 dollars. For sure you could Jake and I’ll actually be updating this build with the 8700k soon, in the past the boards were much more expensive but now they make more sense. You’ll need a compatible motherboard using that processor since the above one wouldn’t be. I’d recommend this one from MSI for sure! Let me know what you decide to do! hey thanks for the info. good stuff! so I’m planning on using most of this build but was wondering what you thought of AMD graphics cards and if there’s a comparable one I can use? they seem to be a bit cheaper and was wondering if you had any experience with them over Nvidia. thanks! Hey there Sal, I’m glad that you’re enjoying the site! As far as the RX 580 and what not, they aren’t nearly as powerful as the listed GTX 1080. If you’ve been looking at Vega GPUs then you’ll see that they are a bit more expensive than a GTX 1080 right now and performance wise, they’re very identical. Let me know if you need any more help as you move forward with your build! thanks for the response. went with the 1080. just got all the parts I need so building is next! pretty much got the above build but swapped out the storage for a mSATA SSD and upgraded the HDD to 2TBs. thanks again! You’re welcome and awesome, it’s going to be an amazing rig when it’s all put together! Be sure to use the above video as a guide if need be, it’s a very detailed video for each step. Hey do you know what kind of monitor is good for this? Cause I have this project that is due today, and really need to know. It’s definitely overkill for a 1080p monitor. You’d be best off going with a G-Sync monitor at 144hz and 1440p resolution. This is also capable of 4K gaming, though it makes more sense to have a monitor with better overall specs at 1440p to have the smooth experience. Something like this monitor from Asus would be perfect! What kind of project are you working on? Can you suggest a decent monitor for this build? Like I don’t want something super high end just something that takes advantage of the power and is budget friendly. A build like this only makes sense for when you’re looking for higher resolution monitors. 1440p would be the go-to and those don’t come cheap. 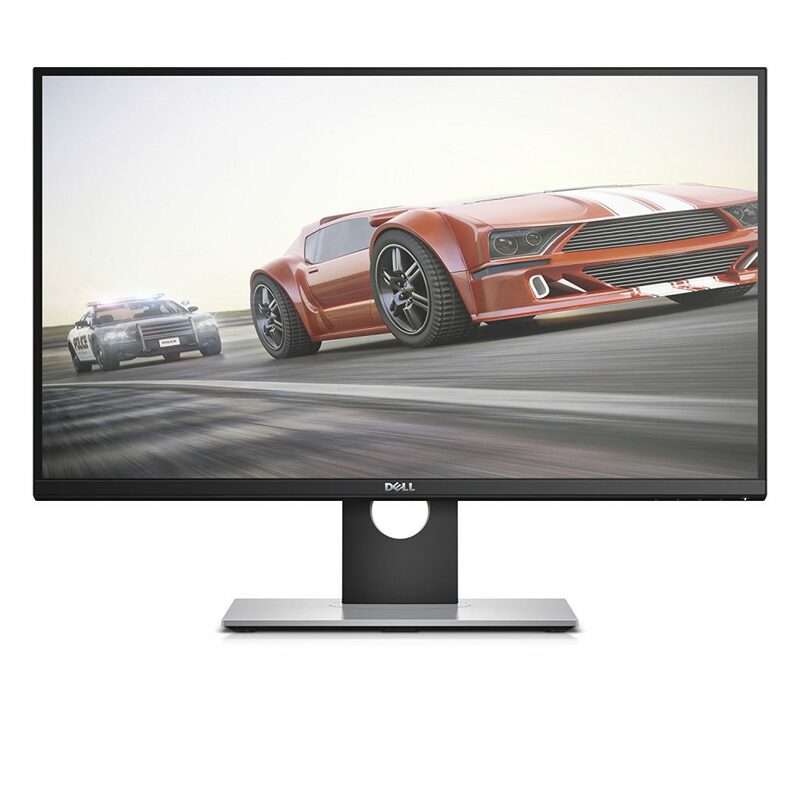 I’d suggest this monitor from Dell if you aren’t looking to totally break the bank. If you have more room in your budget let me know and I’ll be able to help you find another one that suits this build! 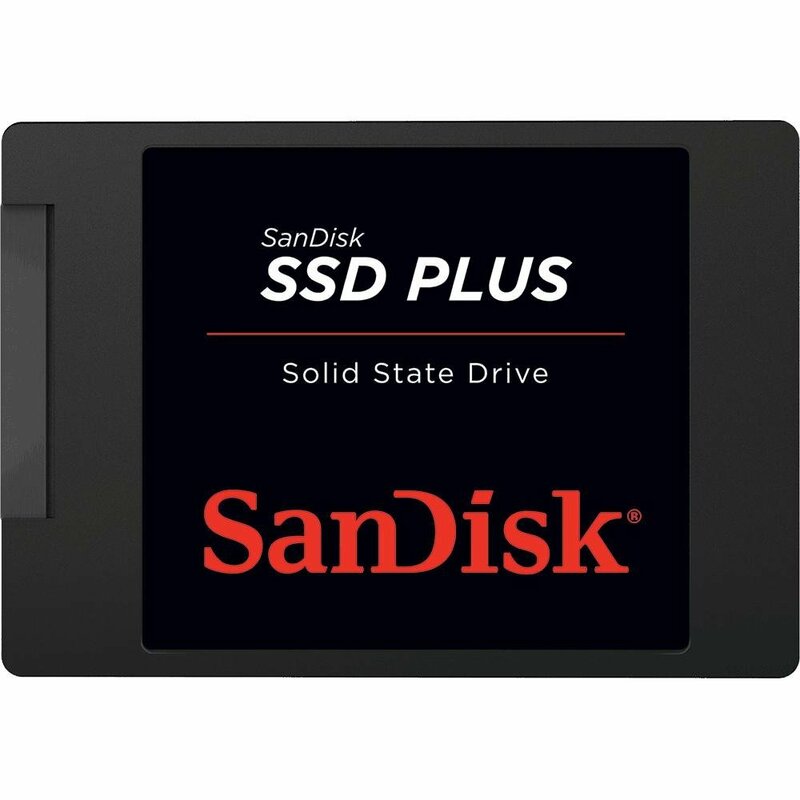 Also, I bought this SSD by mistake https://amzn.to/2Mljg8m Will it fit the build or should I return it? You’ll still be able to use it. That’s a lot of SSD room, awesome! I am looking to being down the price a bit like around 2k or 2.5 k is that possible? There isn’t too much room for lowering the overall price if those are all the exact parts you’re looking to have. There are some cheaper 500GB M.2 on the market. Other than that, since you’re wanting a 4K rig with that monitor then that’s the price you’ll have to pay. The above motherboard has 6 available SATA ports, so as long as you have enough for the drives that you plan on using then the two won’t matter. 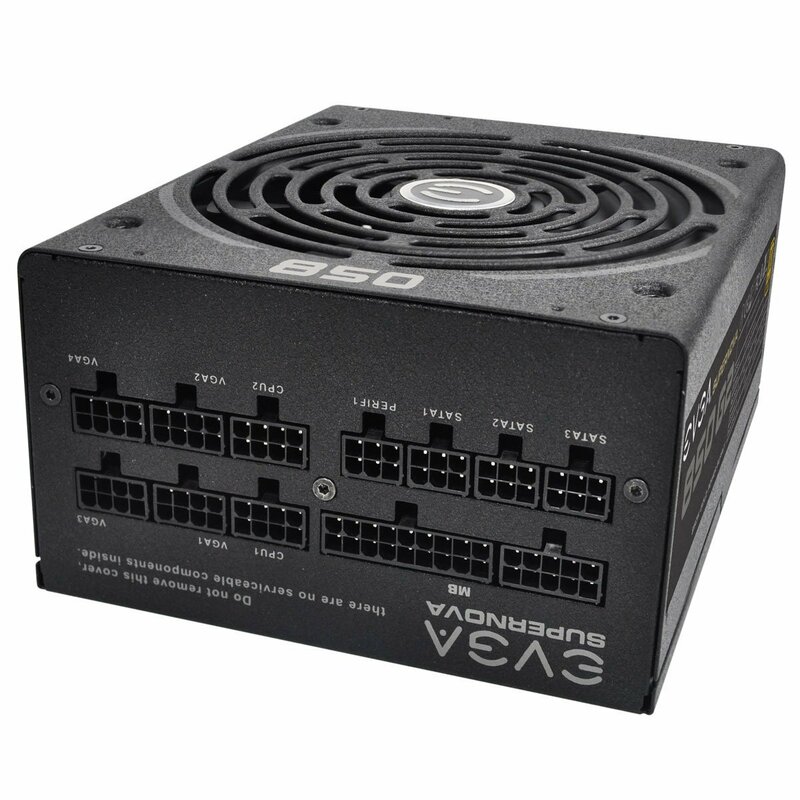 Simply keep in mind how many SATA ports you’ll be using with your drives and you’ll be good to go! My son built the $500 build 3 years ago, when he was 9, and he’s outgrown it. 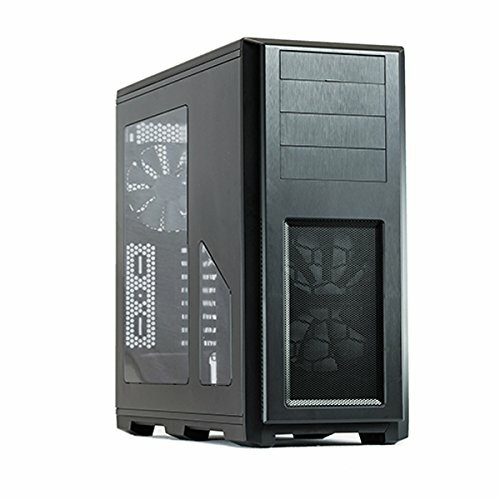 He’s pushing for the $2000 build for Birthday/Christmas this year, but I wanted your opinion on whether the increase from the $1500 to the $2000 will be worth it. His 12th birthday is coming up, so I want to get him something that’s going to meet “his needs” and grow with him for a few years. He currently has 2 monitors set up, but would like 3 – which isn’t a priority in my eyes, but he wants to make sure it will be compatible for 3 if he can sucker his grandma into getting him another monitor. The games/programs I’ve heard him talk about lately – Fortnite, Black Ops4, Minecraft, Twitch, Discord…other random gibberish I don’t get. He wants to be able to play, edit, stream, all while having a movie, music or youtube streaming on one of the other screens. I’m ok with the extra $500, if you think it will be worth it for a 12 year old mega gamer. What do you think? If he’s planning on streaming higher quality games then yes, a higher quality PC build is going to be essential to have a nice quality stream while also multi-tasking. The $1,500 build is a very high performing PC. The difference between that and the $2,000 build would mainly be whether or not he’s gaming at a higher resolution which may or may not be the case. He’s more than likely gaming at 1080p. With that said, as long as he’s got a high refresh rate monitor (aka it’s higher than 60hz, he should know what his refresh rate is) then a higher quality build like that would come in handy. And keeping the next few years in mind, the $1,500 build seems like the best bet. He wants a 2080 video card, would that be compatible with this? Alright, with the 2080 in mind then you’d still be able to go with the $1,500 build while replacing the video card listed there with the 2080. It’d be more than enough performance power for everything that he’d plan on doing with the PC. Is there any significance to the tower size? Preplanning for a build in the spring, but I prefer the Apevia Hermes over the Phanteks as far as look/style goes. Also, Thinking about starting with this motherboard/cpu build, but starting with a lower end gpu to start with a tight budget and then upgrade to the 1080 TI as I save up money. Any suggestions on a good gpu to use as a starter? You’re referring to this exact case then, right? If so then yes, you’d be able to use it with the above build. The GPU to go with for now depends on what level of gaming you’re wanting to do in the mean time. I’d say a good middle ground would be something like this GTX 1050 Ti since it’s ideal for base level 1080p. Don’t expect it to run ultra on everything or for higher resolutions like what the 1080 Ti is made for but for med/high graphics at 1080p it’ll get the job done until you’re ready for the upgrade! I See you usually have Seagate Hard drives in your build. Just curious if theres any reason for that (is seagate like the best brand or whatever) or if it just doesnt really matter and Seagate just happens to be good enough and usually cheap. Basically I’ve always used Seagate. I’ve used WD for some builds on friend’s/family’s PCs and, to my knowledge, they’re still using the same hard drives. 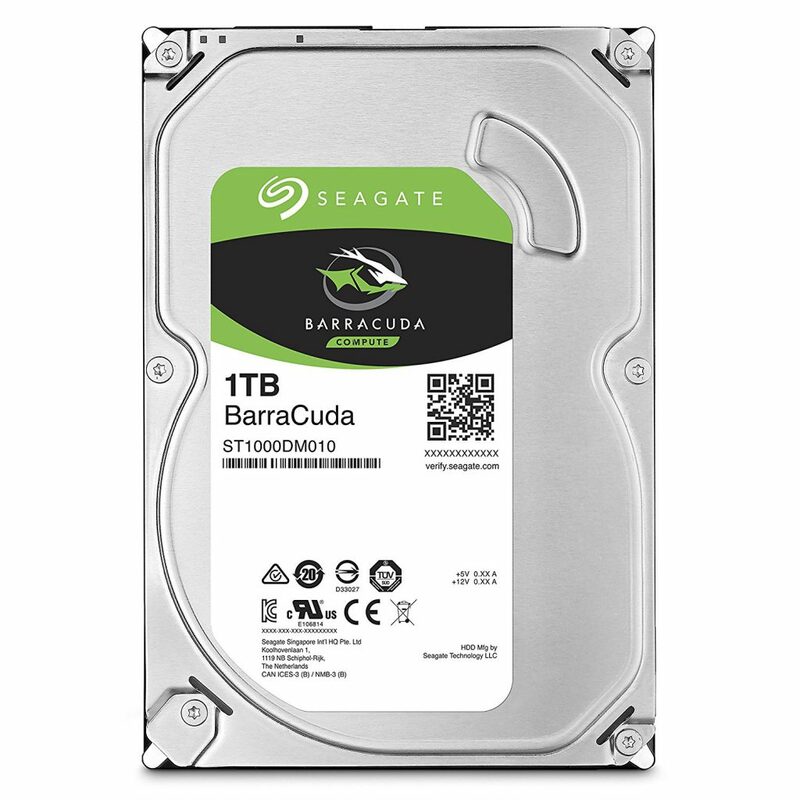 I’ve used the same 1TB Seagate hard drive for over 6 years now so from personal experience I love recommending them. Never had any issues. And yes, they’re right on par price wise with WD as the cheapest hard drives on the market currently. Also I’ve tried to do research on it but I can’t find any concrete evidence if the rtx 2080 is good or bad. I’ve actually just updated this build along with the others and currently listed an EVGA 2080 as the video card for this specific build. The thing with the new RTX cards is that they’re indeed better than the last generation which should hopefully be a given from Nvidia. However, I personally feel that they’re a little overpriced but even with that we are still able to fit it into the budget range. You could use the 2080 that you had in mind or the one above, I like the one above more simply because it’s a more reputable brand and I personally always go with EVAG because of never having any issues but that’s your call! RTX cards will be able to take advantage of ray tracing as well as having better overall performance so the short answer is yes – the RTX cards are good, especially if this is a brand new build that you’re putting together. Is this PC up to date with 2019? I want to build a PC in this price range but I want to make sure I have the parts as up to date as possible to get the most lifetime out of it. This specific build was updated about a month ago, I’ll be doing build updates tomorrow so if you wanted to wait until then it’ll be updated again. Odds are that not much will change. Definitely going to go through and make sure though! Things came up man, so this update took a lot longer than I wanted it to. But it has been updated! No hardware changes, prices have changed a little bit though. Be sure to check it out! These specs will keep you going for the long haul.